Other than selfies, what was Ahmed Shehzad’s contribution in the Champions Trophy to deserve the cash prize? Pakistan just pulled off an incredible victory against politically imposed nemesis India in the Champions Trophy final last month. 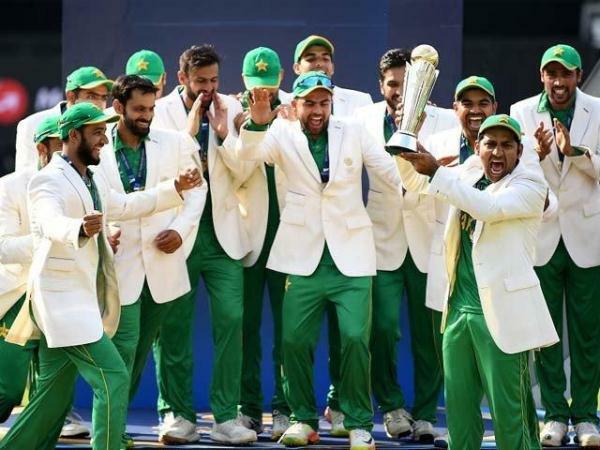 The victory tasted so sweet that the government and media houses (don’t forget the Pakistan Cricket Board (PCB) too, they’re here somewhere) took it upon themselves to virtually term this win as the epitome and peak of Pakistan’s performance. Really? Wait, we’re still ranked sixth in the world? Hold on to your horses, people; it’s a great win but Pakistan cricket has a long way to go. Yet we, the people, are frantic humans. 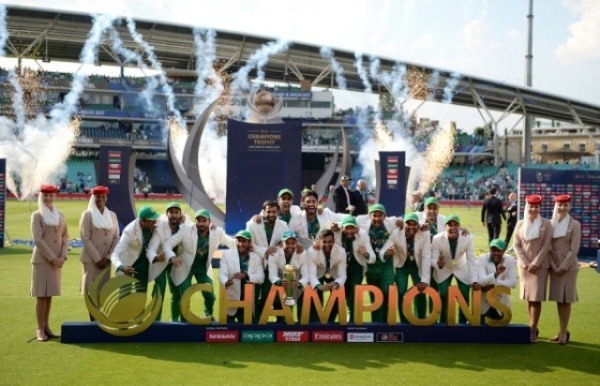 Subcontinental affiliation with cricket rests on heavy emotions and it is this emotion that brought such praise to the team and hate on the other side of the border. But in India, the hate lasted for some days and they moved on to play an ODI in the West Indies. Their focus was on improvement in selection and new tactics. Yet here in Pakistan, after one month of jubilation on social media and otherwise, we fail to move on. 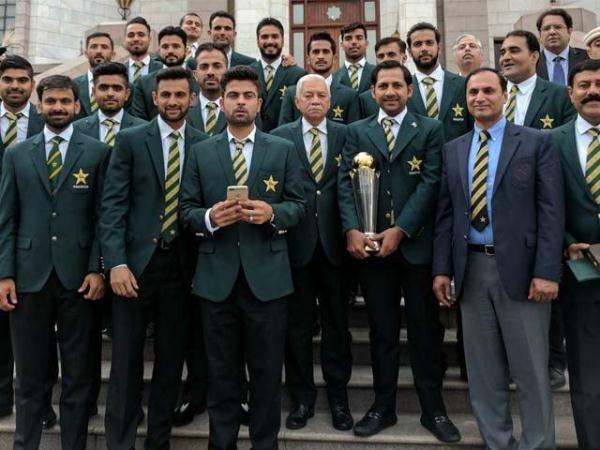 Last week, we saw the cricket team (which supposedly encompasses the players, the whole squad, the whole team management and the PCB’s management) being invited to a special ceremony at the prime minister’s palatial home. They were given awards, medals, and supposedly the best form of accolade, monetary cheques. Each player of the 16-man squad, received Rs10 million (which is one crore, now it sounds bigger, right? ), whereas the team management and some of PCB’s management (including director media, director logistics and director marketing for helping Fakhar Zaman hold on to his mantle) were awarded Rs5 million rupees each (Rs50 lakhs, yes). The total sum given out by the government was Rs215 million. For once, let’s zoom out and feel perfectly alright with this expenditure. Given this incomprehensible assumption, do all players of the squad deserve this cash prize? Do members of the team management and PCB, who get various benefits plus monthly salaries, deserve this expansive monetary recognition? Why do non-contributors reap the same rewards? The previous statement is epitomised by a certain selfie king – yes, the one and only, Ahmed Shehzad. Not only did he receive this exorbitant cash prize, but he was also in the front row when the official picture at the PM house was taken, with a mobile phone (you guessed it right) in his hand. He’s part of the 16-man squad. ICC presents awards to the entire squad, not just the playing 11. Extrapolating that logic, maybe, just maybe, we can justify a uniform cash award to all players. But celebration should be respected and should at least encompass some dignity. Instead of tournament hero Zaman, Shehzad was shining bright in the spotlight (which he hardly manages to do on the pitch). Do you think Ahmed Shehzad deserved the cash prize, considering he was dropped after his first match in the Champions Trophy? And it’s not just his antics in the PM house back home, but his celebration at the Oval as well. Jubilation is inevitable, but I’ll let you decide whether a non-contributor should act like this, in the front row, where contributors should proudly hoist their winner’s medals. I’m willing to drop the ‘giving this much cash is okay’ assumption only because of this act. Shehzad has a career average of 33 in ODIs and is very active on social media, judging by his recent Instagram and Facebook feed (he posted a video, where he was acting out in his car to a tragic Indian song). Many people from abroad have asked me who this aspiring actor is. That’s pitiful. The guy was a regular opener in the national cricket team and people fail to recognise him for that. Yet, he stole the spotlight from pretty much everyone else. Why, oh why? For the record, he was dropped after his first match in the Champions Trophy. After that, when Zaman took over, there was no way back for Shehzad. Thus, he contributed as much to Pakistan’s win as I did. Give me 10% of what he got, sorry, 1% of what he got and I’ll go back in my cave. Enough of what has happened and more on what should happen. My prediction – Pakistan will fall back on Earth in the months to come. This may sound harsh, but this in no way means the team’s achievement wasn’t mammoth. It was and will remain etched forever in history. But the way the win is hyped up and exaggerated, along with handing out monetary accolades; things are going a bit too far. Thus, the peak at which the cricket team finds itself on (propelled there predominantly by the media), there is no other way but downtown. The selfie king will stay out of the team if the current scenario persists. There is no Shahid Afridi to bring him back and the selection committee will prefer giving Azhar Ali and Zaman’s combo a long-term chance. Shehzad can pray that Zaman is a one-tournament wonder (Big Nas aka Nasir Jamshed anyone?). If he doesn’t let his form slip up and if he doesn’t swell his belly with all the riches he’s got, Zaman can be a permanent showcase top of the order. Ali has improved at that position, gaining some consistency as well. So no need to let in players who perform consistently on mediocrity (read: Shehzad and Umar Akmal). Those who put greatness as their ceiling should be valued and that’s where Pakistan cricket needs to go from here. The author is a LUMS graduate, a sports enthusiast, and a marketeer by heart making sports journalism investigative. Will this year’s Wimbledon be the same old four, winning the same old matches? I am very sorry what the writer wrote here, it is totally immature. I am not a fan of Ahmed Shehzad but here I should defend him. Ahmed Shahzad is not the worst player. Fixers like Akmal Brothers and Wahab Riaz and politicians like Shoaib Malik are. Keep all fixers and politicians out of cricket, including Inzamam and Waqar Younis who were named in Justice Qayyum report, and Pakistan will not go down as you said. Let’s discuss these two graduates from LUMs, one of then was a topper and one was back-bencher. At the convocation ceremony, both equally enjoyed and in the end were handed the same degree and inducted into the same school. They both celebrated the same, maybe the one who was a back-bencher was more ecstatic. He is not called “Selfie-Shehzad” for nothing. Hi. Yes, they both got degrees, because they both worked towards it. The back-bencher graduated because he worked for it. Hi. I think you skipped a beat. I wrote that because he is part of the squad, he will be awarded and rewarded. Did he deserve it? That is the question. OF course, you need a bigger debate than this; the whole system is under question. Hi. What i wrote is positive, constructive criticism, without which the team, team management, and the PCB would stay static. No one would want that. Someone needs to speak up. His place in the team was already doubtful. He does not boast a healthy average. To get your word across, you need to start by something. Ahmed Shehzad, Umar Akmal, Wahab Riaz rarely deliver, and pride themselves on mediocrity. I am not attacking his self-esteem, I am merely questioning his humility. Did you see Wahab Riaz in the front row everywhere? The problem isn’t that he was in the front or he celebrated as if he’s done it all, the problem is that this diverted attention from the real heroes. Hi. The piece was not designed to defame a Pakistani who was celebrating, neither did it condemn the celebration itself (celebration being an entity). In fact, it is lucidly written that because he was part of the team, he is entitled to the cash prize, and he is entitled to a celebration. But where’s the humility? I’ve read your blogs. You’ve written about class in defeat (referring to Virat Kohli), then why can’t we have graciousness in victory? Sure, this might be one of the worst pieces you’ve read, but you being a seasoned writer and editor, should probably have sought to guide me rather than ridicule and move on. Sigh. Then you complain of stalled progress.